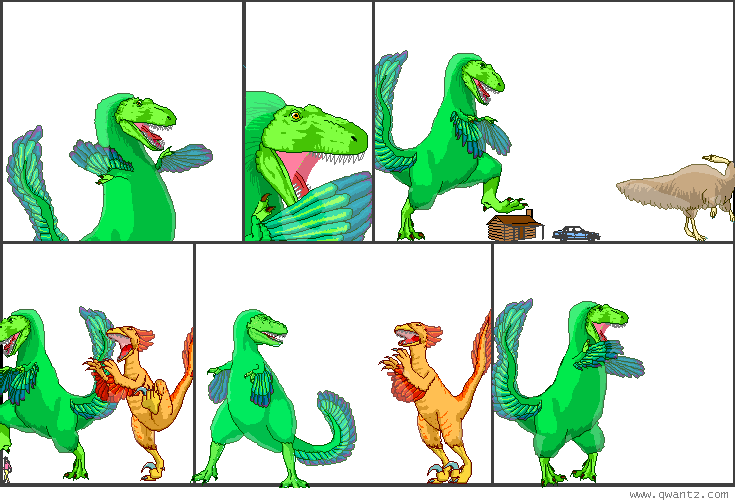 Dinosaur Comics - September 24th, 2009 - awesome fun times! –I am on the lookout for science, personified! September 24th, 2009: Jeph Jacques has discovered that it's very hard to resist ending all his Twitter posts with the phrase "haha WOO", and once having read that I now find it very hard not to end all my comics in the same way. I believe this virus is spreading through language, and now fully expect that any scholastic or professional emails you send today to end with "...this concludes my proposal. haha WOO"